Jonathan Rea heads to Donington Park this weekend determined to beat team-mate Tom Sykes in front of a home crowd for the first time since joining the factory Kawasaki team. 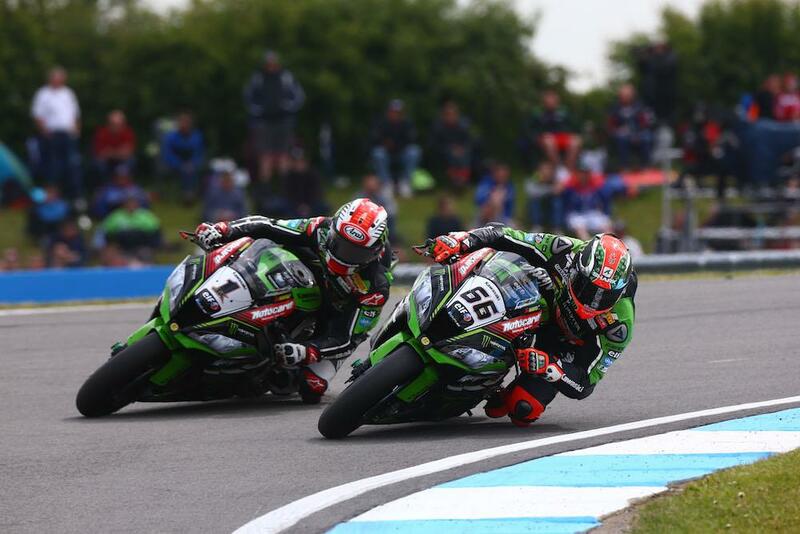 While the Kawasaki team-mates have come head-to-head at the British venue in recent years, Sykes has been unstoppable and has won eight consecutive races at the Leicestershire circuit to be unbeaten in four years. Rea hasn’t won at Donington since he clinched victory for Honda in the second race in 2012, but he’s adamant he’s got what it takes to stop his team-mate this weekend after a blisteringly fast start to the season. “I’m really excited about coming back to Donington Park after a great start to the year,” he said. “The track itself is a lot of fun but it’s also challenging to find a good balance between stability in the heavy braking areas, and agility in the fast and flowing parts.